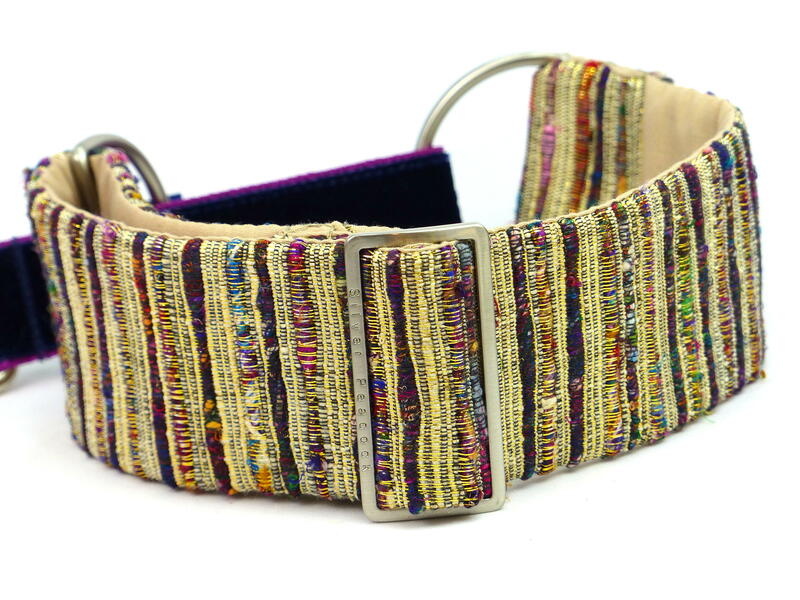 We source our really special sari fabrics from just two vintage Sari dealers in India, the fabric used to make this exquisite collar was offered to us by one of them - they know what we love! this really is perfect for the Most special occasions! The richly hand embroidered and beaded fabric used to make this collar is taken from the boarder edge of a satin silk sari. It is made of a moss green base fabric with a classic embroidered design in black / gold and multicoloured metallic threads, further enhanced with beads, sequins and tiny mirrored embellishments. 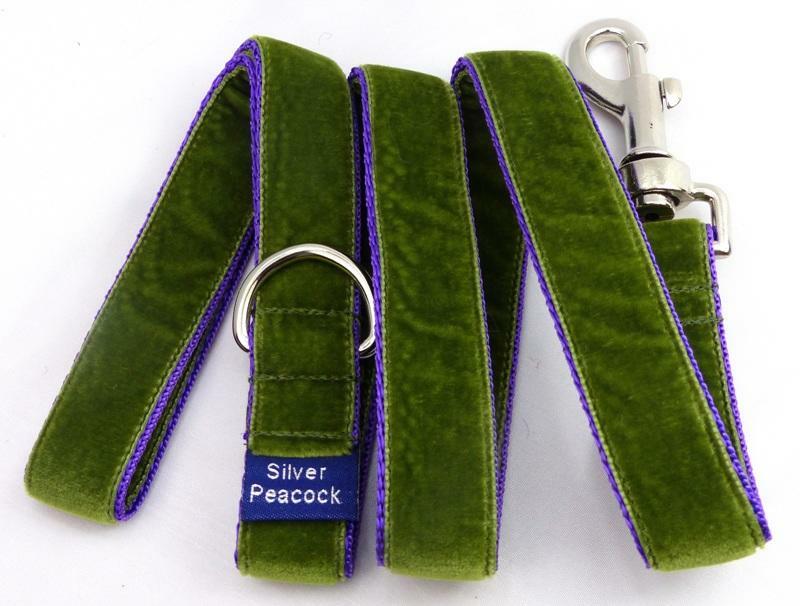 The collar is lined in moss green fabric and has a burgundy webbing martingale section covered with moss green velvet. There will be just three of these collars made, all are 5 cm (2") wide. 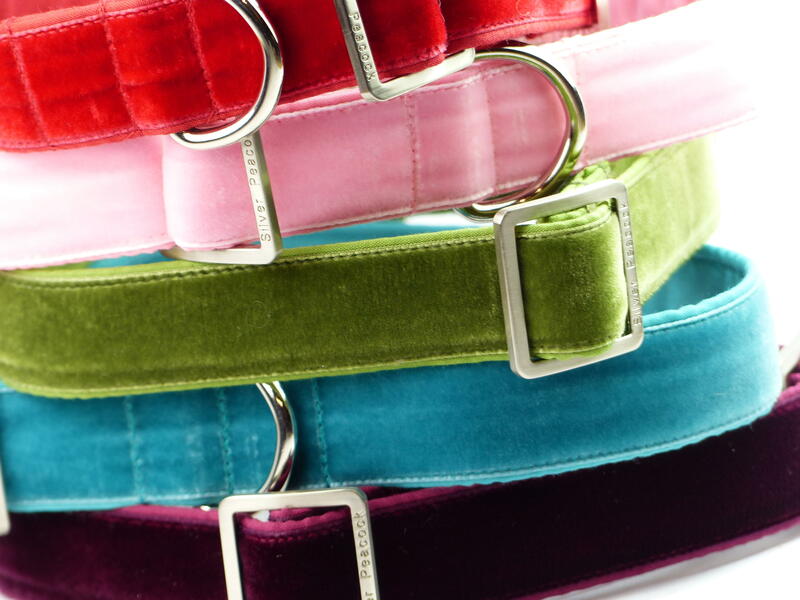 There are just 1 collars left in our Small size. This collar has delicate embellishment so should only be used for the most special occasions to preserve it's looks.